Karl Lagerfeld doesn’t do small. His collections are head-turners and his runways are an exercise in creativity and extravagance. Watching a Chanel show is always an occasion of interest and intrigue. From rocket-ships to cafes and casinos, Chanel's runways are much more than a chance to see their latest styles. They are a place for art, sculpture and design to blend with fashion, and to give people much more than a simple runway experience. With no exception, Lagerfeld’s latest Chanel Spring/Summer 2018 collection graced the Parisian runway and was a beauty to behold. Lagerfeld and his team of creatives completely took the Grand Palais out of Paris, and into a canyon expanse in the French mountains. The models walked among greenery and rocky terrain, gracing audiences with glimpses of the coming season's most sought after trends. 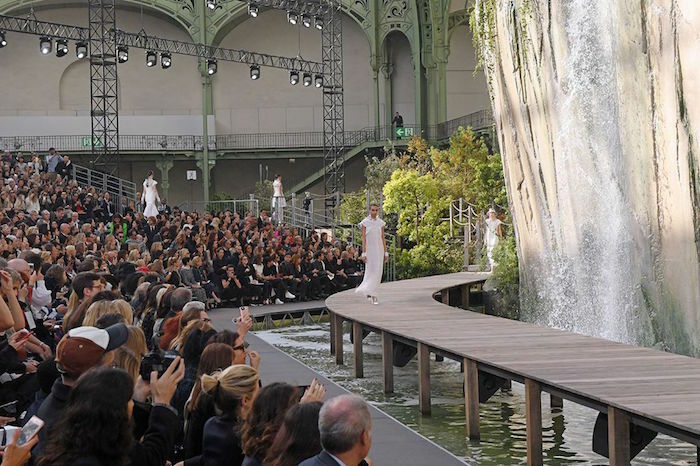 A waterfall cascaded behind the looks, as they were paraded along a wooden catwalk. The line and its setting gave an almost tropical feeling, taking fashion into Spring/Summer. 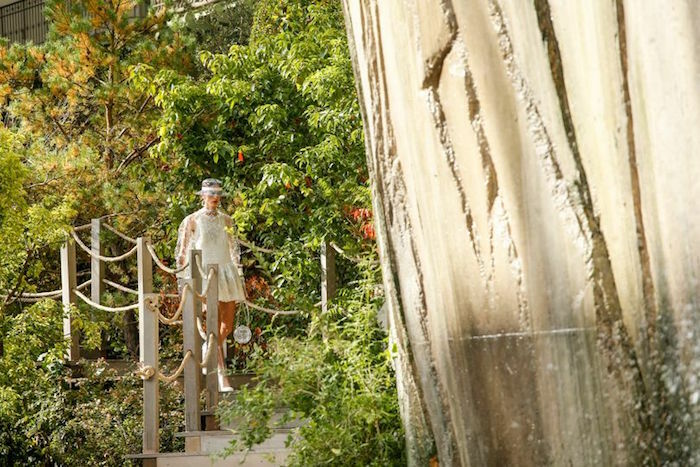 Aside from the grandeur of the setting, the collection stood out as classically Chanel. The traditional tweed designs and pearl jewellery, of which the fashion power house has become synonymous with, was a prominent feature. Differing from other shows of the season, was the major inclusion of plastic in the collection. This was used in various garments; from boots, to hats and bags. The show was opened by Kaia Gerber who, despite her famous parents, is beginning to make her own name in the fashion world.